Get a complete FNS50315 Diploma of Finance and Mortgage Broking Management training and assessment resource kit so your RTO can deliver and assess this super popular FNS50315 Diploma of Finance and Mortgage Broking Management qualification! These Diploma of Finance and Mortgage Broking Management Learning Resources have been designed so you can deliver critically needed, high-quality financial services training to your students. For more information about the FNS50315 Diploma of Finance and Mortgage Broking Management qualification including currency, packing rules, qualification outcomes and entry requirements, check the official training.gov.au page here – FNS50315 Diploma of Finance and Mortgage Broking Management. Unlike many FNS50315 Diploma of Finance and Mortgage Broking Management training and assessment materials packages which just include facilitation tools, or assessor guides and assessment workbooks, Compliant’s FNS training packages comes complete with all Learner Guide and Assessment Tool content in digital format with an unlimited student license. This means you will not be reliant on purchasing hard copy learner guides, assessment workbooks or textbooks for every student – expenses which can easily add up to hundreds of dollars per student! 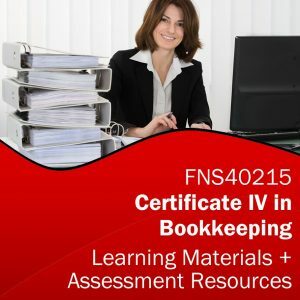 When you do the break-even analysis versus a print resource, our Diploma of Finance and Mortgage Broking Management resource will typically pay for itself with a less than one class of students, and then you are free to deliver and assess FNS50315 training for years with no ongoing per-student materials fees! Unit by Unit FNS50315 RTO Training Materials! Enquire now and get this premium FNS50315 Diploma of Finance and Mortgage Broking Management learning and assessment resources bundle for your RTO today! These FNS50315 Diploma of Finance and Mortgage Broking Management training resources developed by Vibrant Courseware are provided on “One-Off” License Fee with Unlimited Students – meaning you pay one upfront fee and there are no ongoing per-student or annual license fees for the lifetime of the unit or qualification release!